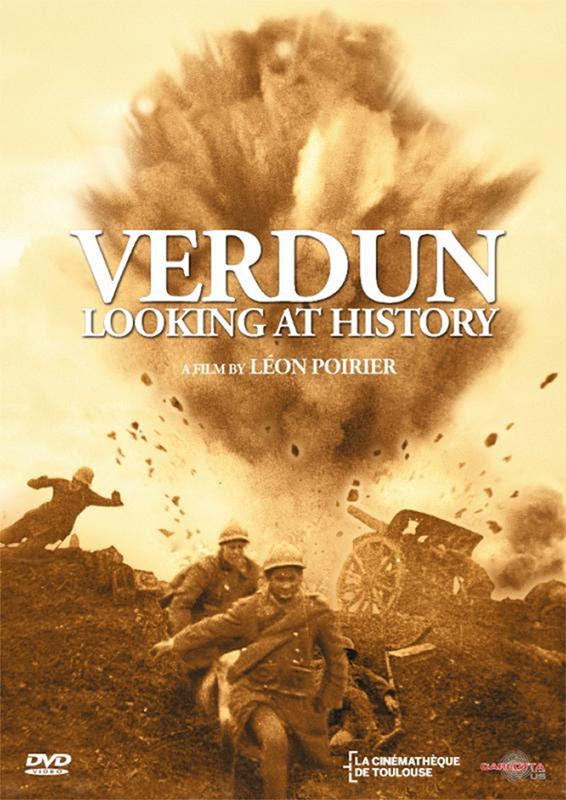 There's something uniquely breathtaking about watching Leon Poirier's silent 1928 docudrama, Verdun: Looking at History, a film made to commemorate the 10th anniversary of the end of what was then known as The Great War. It's something that takes a while to sink in while watching the film. We seem so far removed from WWI, much more so than we do from WWII. Most of us have known someone who fought in or lived through WWII, its history as been thoroughly covered in movies and TV shows for decades. But WWI seems more foreign, less glorified. Its history is less glorious and heralded. It was a pointless war born of secret alliances and childish posturing, leading the deaths of millions in the first modern war, where old fashioned military tactics ran headlong into the new industrial machinery of death. It is much harder, then, to look at WWI through the heroic lens that we usually look at WWII, because no one really remembers what we were fighting for, and I'm not sure the people fighting it knew either. It is difficult to fathom that Verdun was a film made by people for whom WWI was still a fresh reality. And indeed, the film feels shockingly authentic, as if it were shot directly on the battlefield of Verdun itself. It wasn't, of course, but Poirier meticulously recreated it using actors like infamous playwright Antonin Artaud and Maurice Schultz (who also co-starred with Artaud as a villainous priest in Carl Th. Dreyer's The Passion of Joan of Arc that same year). While the film as a whole is no great artistic achievement, its authenticity is nevertheless notable. 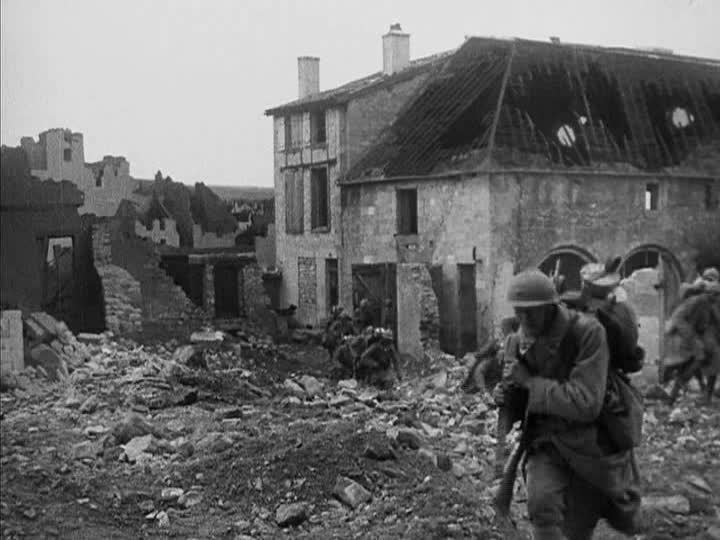 It plays like a series of loosely connected scenes depicting the war without any real through line to hold it all together, but it is filled with stunning set pieces and haunting imagery. It is clear that Poirier took his cues from D.W. Griffith's The Birth of a Nation (1915) in his staging of the battles, although his cinematography is much more static than Griffith's. That's what really keeps Verdun from being the truly great film that it could have been. It is fascinating as a historical artifact, but it is never more than that. It feels as though we are watching history unfold before our very eyes. It doesn't even feel like a movie really, it feels like an accidental eyewitness to history, as if someone just happened to have a camera with them when WWI broke out and captured the whole terrible affair for future generations. It is a film with individual flashes of greatness that structurally never add up to a satisfying whole. Still though, its historical importance can't be denied, and Kino Lorber should be commended for making it available on DVD for the very first time. As a historical document, Verdun is absolutely essential. Watching it is an undeniably moving experience, knowing that this was a document of one of the most terrible human conflicts of all time made by the very people who lived it. It feels fresh and vital even 86 years later, a chilling and unforgettable reminder of a war that has been largely forgotten through time and distance. In Verdun, all that time and distance is searingly erased. Now available on DVD from Kino Lorber.